Keeping your priorities straight shouldn’t have to involve the weekly struggle of maintaining a clean home. Let Maid Brigade’s Dallas cleaning service tend to your domestic cleaning needs while you focus on the most important things to you; family, friends, fun and relaxation. We’ll make the dusting and mopping our priority while you make the more enjoyable things in life yours. Hand the broom and dustpan to our house cleaning crew and in return, we’ll give you back a few hours of your day. We’ll have your home looking impeccable in the time it takes you to run your errands or watch your daughter play soccer. Feeling a little unsure about someone coming into your living space while you’re not there? 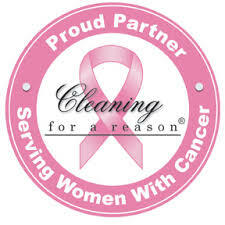 All of our maids are carefully screened, trained and certified before stepping for inside your door. We trust our staff enough that we’d hire them to clean our own homes! Hiring our maid service will not only give you more time to spend floating down the lazy river with your children at the Aquatic Center in Roger Jordan Park but we’ll leave your home cleaner than its ever been before. Maid Brigade offers the ultimate home cleaning to the community – making your living space look amazing and feel healthy as well. We’re Green Clean Certified®, meaning that the solutions and processes we use help create a safe indoor environment for our customers and their families. Using products that are free of harmful toxins, vacuums that improve indoor air quality and eco-friendly microfiber mops and cloths are just a few of the ways our house cleaning team is unlike any other. When you’re ready to let our cleaning service take over so you can take a trip to Central Bark Dog Park with your furry friend or go on a family outing to Baskett Slough Wildlife Refuge for wildlife observation and hiking, give us a call. Our Dallas maid service will make “your home, cleaner” while you work on making your life less stressful!